How does an artist make it to documenta? Haupt & Binder: The first question in everybody’s mind −especially artists’− is how does one make it to an exhibition of the caliber of documenta. Do you happen to know whether you were the first Argentine artist to participate in the event? 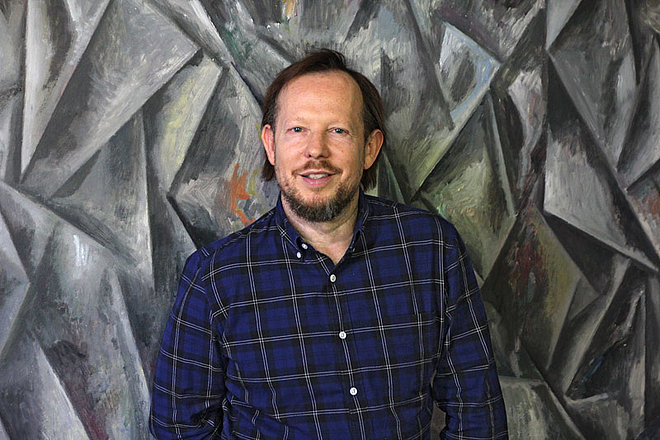 Bart De Baere, from the curatorial team of Jan Hoet [the Artistic Director of documenta 1992] was the one who came to Buenos Aires. I think he came with Paulo Herkenhoff. I don’t know whether they came together or not, but I think Herkenhoff was the one who recommended me. Haupt: Due to your participation in the Sao Paulo Biennial in 1989? Binder: Were you surprised to be part of that “first wave of Latin American artists in documenta”? Kuitca: I think it’s interesting to point out a phenomenon of the history of Latin American art and its recognition, insertion, legitimization o whatever you want to call it, with whose process one can be more or less critical. What I mean is that the great names that have had international recognition, such as Helio Oiticica, Lygia Clark, León Ferrari or Mira Schendel, for instance, were sort of generationally “older” than others −including me− much younger who were perhaps the first visible faces. Then, as the years went by, things started falling into place and everyone organized themselves within their generation. But at that time, I suppose due to lack of knowledge, for documenta it didn’t make any difference to face artists from one generation or another, which obviously worked very well for me. Now I think perhaps there was an agenda to include a few Latin American artists, Jan Hoet’s controversial and unfortunate declarations notwithstanding. But apart from that, he didn’t seem to have a concrete agenda in his search for artists. Personally, I didn’t belong to any scene, there wasn’t any reason why I could be included or not among the chosen ones. Kuitca: Yes, in that exhibition yes. But I’ve already mentioned it as an example of where my name had been before documenta. Haupt: To avoid misunderstandings. I’m not saying that this was the case in documenta, only that in those days that was the prevailing attitude, unfortunately. Kuitca: Yes. My first participations in international exhibitions in the United States were thought “from a magical realism point of view,” or something of the sort. But think about it, how much of my work has to do with that? Nothing! Though there’d always be someone who would interpret it along those lines. Any Latin American artist can corroborate that from way before documenta and even afterwards, this was the underlying basis of the approaches. Well, after that visit to my studio in Buenos Aires, I was called and received the formal invitation to documenta. Binder: Did you propose your work or they asked you for something in particular? Kuitca: I put forward my proposal when I went to Kassel for the first meeting, which must have been a year before the event. I was very, very nervous to meet Jan Hoet. I remember that when I arrived, tired and jetlagged, I bought a chocolate bar to boost my energy and after eating it, I don’t know, I thought my teeth would be stained with chocolate and I cleaned them energetically, so much so that my gums bled. And when I said hello to Jan Hoet, with my first smile my gums were bleeding. He got worried and called someone immediately to have a look at me; so all my efforts to be “normal” ended up in disaster. Afterwards I’ve always laughed about that, but at the time it was terrible, the most feared situation of embarrassing myself like that. I was very young and had very little experience of talking to such powerful figures of the art world. I had dealt with gallery directors, but not with these kinds of megacurators that started to emerge at the time. Kuitca: Afterwards, during that preliminary visit, they suggested locations for my work. At the time, they were building the new documenta-Halle and other temporary halls, in which my work was originally going to be. I proposed the work of those 20 beds with maps. 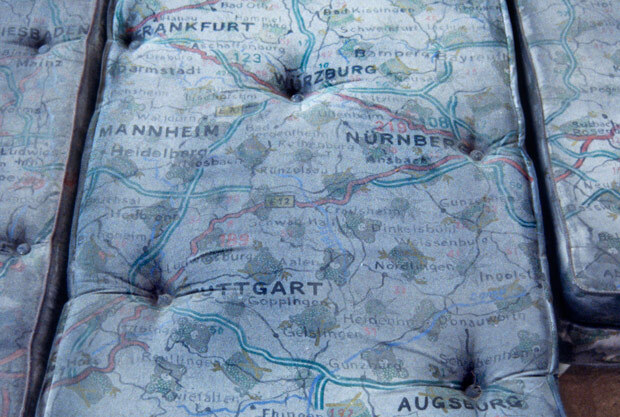 I had done works with individual beds, a few wall triptychs in 1989, but I hadn’t taken the idea to such scale, and my intention was to geographically identify Kassel within a wider topography. In a way, I was also conscious of what we talked at the beginning. I didn’t want to expressly appear with maps of Latin America. What I wanted to do was to revert the idea of “orientalism,” because for me, Kassel and all those cities represented the unknown, and those names inspired some kind of fascination in me. I tried to use maps of Central Europe, not Mediterranean Europe but maps that had mainly Germany, Poland, Czechoslovakia, using arbitrary sectors, fragmented cuts. What I wanted to do was not determine my identity based on geography, or if I did, determine it based on a geography that was foreign to me. Haupt: Did you select the maps based on their visual structure? Kuitca: The use of geography in my work always had to do with using structures with an interesting morphology beyond the meaning of the names, though always assuming that names have a certain impact, because among them there were names that reverberated in the immediate political or historical scene. That means that if Karl-Marx-Stadt [Chemnitz today], Warsaw, etcetera, were there, those names could resonate beyond my intentions. That is something that history does to art, not artists to history. 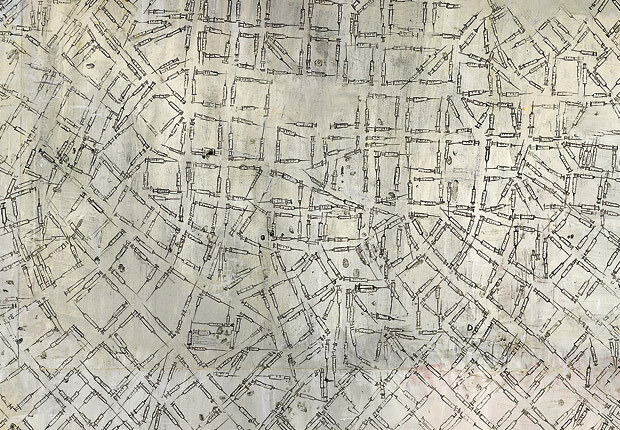 Also, I thought I’d add another very big work: A big map without names, such as a city grid with the streets defined with hypodermic needles; a city where drugs, health, danger or whatever would intersect and that had no identification whatsoever of an actual place. I planned the two works to be together, but in the end, they were exhibited in different spaces, which was a good thing. Although they had something in common because of the blueprints and the geography of the cities, aesthetically they were connected rather in an indirect way. Binder: Why were they exhibited in different spaces and not where it was originally agreed? Kuitca: When it was time to assemble the works, something very curious happened. First I installed them in the allocated places, in one of the temporary halls next to the Friedrichsplatz. They were like trains, or rather like rustic houses, installed on pilings but very well made, of glass and wood. The next morning, they told me with great concern that some vandalism had occurred, not to my work but to the buildings. They never knew who did it, people from the city, drunk perhaps. But the thing was that my work was covered with broken glass. I was shocked, because around that time I had done an almost literary work evoking the Kristallnacht (Night of Broken Glass)  and I couldn’t believe that I was seeing my work in Kassel now covered with broken glass. The work hadn’t been damaged but we had to wait for the conservators and the curators to determine if everything was all right and to allocate another space for the work. 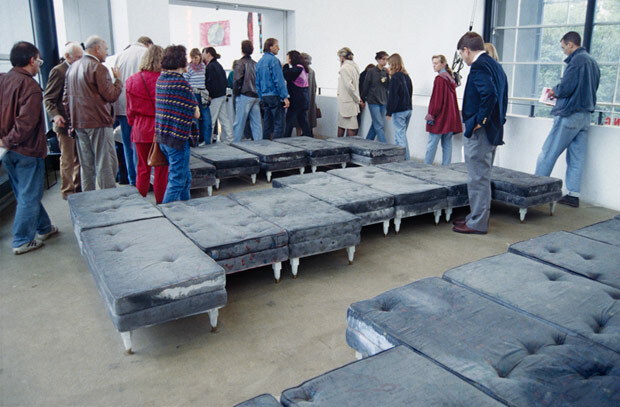 I had seen a space in the documenta-Halle that I’d liked, where the beds could be placed not in line, as they were originally placed, but in a compact way, making a less obvious figure. People would even have to walk between the beds, which was more interesting, so it was there where the work was placed after the incident. And the painting was placed in an adjacent space, even if not visually connected with the beds, but next to a very nice work by Matt Mullican. I think everything turned out very well. H & B: And how did you feel during the opening of the exhibition? Kuitca: On the opening day I was completely lost, not knowing where to stay, what to do, or who to talk to, and I ended up eating a hot dog in a corner like any other visitor. There were too many people, too many people I didn’t know. I think I went into one of the tents in which there were rock concerts and some performances. I experienced that opening… well, as sometimes happens to many artists, with complete inadequacy. I took the opportunity, of course, to walk through the exhibition and see the work of the other artists, which seemed to me the most important thing one could do that day. Kuitca: For many years, like twenty, I kept that work feeling it had a special importance. It came back to Argentina. It was in this space that is now my studio for a long time. It travelled to a few exhibitions, for example to the Wexner Center in the United States. 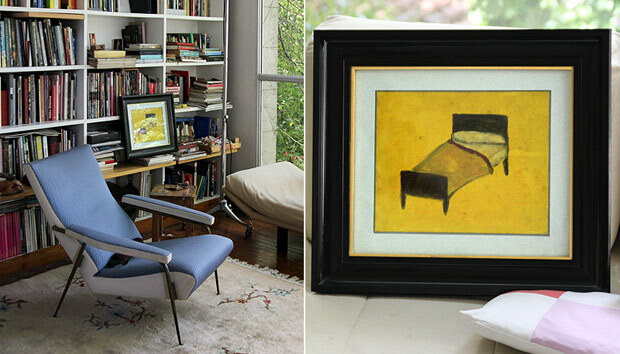 And a long time after that, when Tate showed interest in adding a work of mine to their collection, it was obvious that it was the one that condensed a series of topics and interests that were very important to me, from this little bed [Kuitca points to the painting Nadie olvida nada, from 1982, in front of his library] to these geopolitical structures. Binder: It’s amazing that the development of your career since that “little bed” to the work exhibited in documenta, only 10 years went by, condensing your work so much as to produce such a paradigmatic oeuvre. Kuitca: Yes, and then I did the complete opposite. But that path was of concentration, so that work lives now in a place of great visibility. Haupt: Did documenta produce a substantial change in your life? Binder: Did you get the impression that after that many curators expected that kind of work or the style of work you exhibited in documenta? Kuitca: Yes and no. Actually, afterwards I did a much bigger work with 54 beds because Valencia’s IVAM had programmed an anthology exhibition, not a retrospective because I was still very young, but encompassing works from 1982 to 1993. Then I produced a work that geographically explored even more that “orientalist” sense, searching for places that were even more remote, more foreign, never close, never familiar −like Japan, Finland or Mexico were for me at the time. Haupt: You once made a reference to Afghanistan, didn’t you? Kuitca: Yes, but in another work, in which once again that particular relationship with history took place. To me, Afghanistan was an unknown place, a name. But today, every time a show the work Afganistán, more than a name it’s the very name of conflict. Something similar happened with the paintings of baggage carousels that I made before September 11, 2001. But when I presented them for the first time in Zurich, the opening day of the exhibition was September 13, 2001. 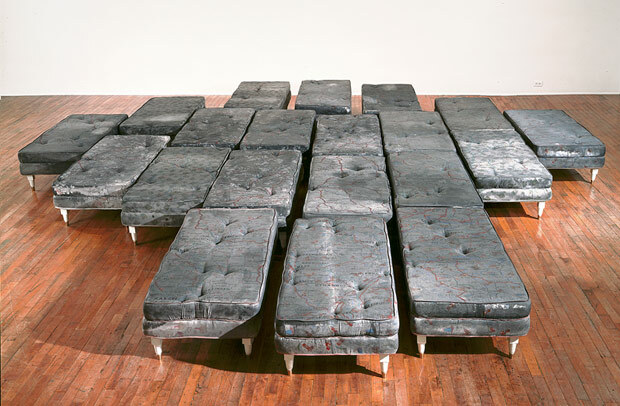 And oddly enough the title was “Trauerspiel,” an allusion to baroque drama and the idea of a conveyor belt as a stage. However, the translation of “Trauerspiel” is “tragedy,” so in a way, that work was completely run through by those events. But I prefer it that way, that history is the one changing my work and not me running after history. The curators, yes, of course, they always remember the work exhibited in documenta, an event that works as a canonizing force within the art world. Binder: But didn’t you feel pressured to continue along those lines? Kuitca: No. In fact I abandoned the maps in 1992-93, although I painted maps again many years later. That was the worst decision of my career. To become well-known for something and abandon it right away [he laughs]. No, I feel that I follow my own logic. I find it very hard to do what others want from me. That doesn’t make me purer or put me above anything. What happens is that I could never understand what that anonymous entity made up of spectators, collectors, curators and critics could possibly want. I haven’t the faintest idea of what they may want from me, so that if I didn’t have my own interests, I couldn’t even do my job. a. Nicolás García Uriburu (Buenos Aires, 1937- 2016), who in 1968 in the context of the Venice Biennale, had dyed the waters of the Grand Canal green, and then repeated the action dying the Rhine with Joseph Beuys, was invited by the German artist to take part in his action of planting 7,000 oaks in Kassel during documenta 7 in 1982.
b. Alicia Penalba, an artist born in Buenos Aires in 1913 and based in Paris since 1948, was officially invited to documenta both in 1959 and 1964. In spite of being widely recognized worldwide, her first anthology exhibition in an Argentine museum was in 2016 (MALBA, Oct. 14, 2016 - Feb. 19, 2017). 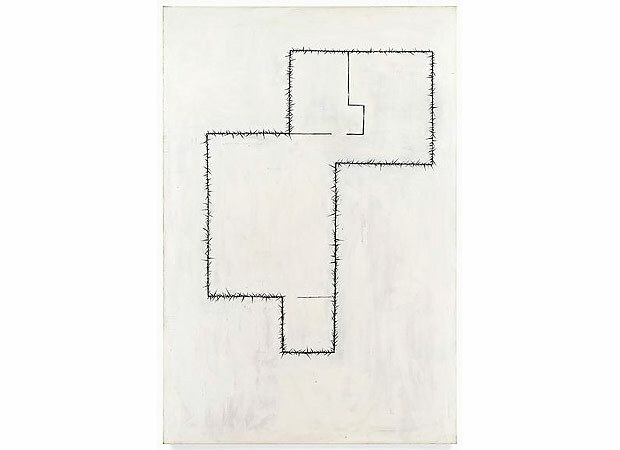 c. In documenta 9, apart from Guillermo Kuitca, the following artists from Latin America took part in the exhibition: Jac Leirner, Waltercio Caldas, Cildo Meireles, José Resende, and Saint Clair Cemin (Brazil); Eugenio Dittborn (Chile), and Ricardo Brey (Cuba). When Jan Hoet was asked why after travelling all over the world searching for artists for his documenta, so few from Asia, Africa and Latin America were invited, he answered that even though they were interesting within their local contexts, they were not “universal” in the sense of possessing an autonomous artistic language. The Marco Polo Syndrome. Problems of intercultural communication in art theory and curatorial practice. Symposium held in the House of World Cultures, Berlin, on April 11-12, 1995. Idea, concept and direction: Gerhard Haupt, in collaboration with Bernd M. Scherer, HKW. Kristallnacht - Night of Broken Glass. Pogroms carried out by German fascists against Jewish citizens throughout Nazi Germany during the night of November 9-10, 1938. * 1961 Buenos Aires, Argentina; lives there. Inspired by the worlds of architecture, theater and cartography, his work has transcended geographical boundaries, has been exhibited extensively, and is in museum collections worldwide. Already in 1992 he was selected for documenta IX, curated by Jan Hoet. Early solo shows include: IVAM, Valencia, Spain (1993); Wexner Center for the Arts, USA, and Whitechapel Art Gallery, London (1994-1995). Among his mayor exhibitions since the year 2000, are: Fondation Cartier, Paris; Museo Nacional Centro de Arte Reina Sofia, Madrid, MALBA, Buenos Aires; Daros Latinamerica, Zurich. In 2007, Guillermo Kuitca represented Argentina at the 52th Venice Biennale, and was also part of the International Exhibition. Several important museum and gallery shows in different countries followed. In 2014, he had a major retrospective at Pinacoteca do Estado de São Paulo. In 1991, he initiated the educational program “Beca Kuitca” (Kuitca Grant), which took place in 5 editions in cooperation with different institutions. The program supported numerous talented artists of the younger generations. 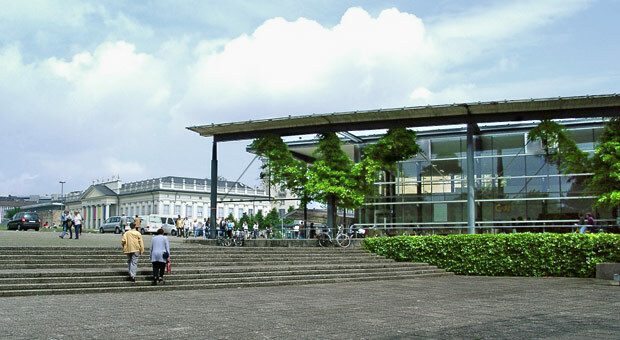 Information and photos of the documenta in Kassel, Germany, and their editions since 1997. Presented by Universes in Universe - Worlds of Art.